The following were convicted at Sheffield, Rotherham, Barnsley and Chesterfield magistrates’ courts between Thursday, September 24, and Thursday, October 1. Theft: Georgia Hitchcock, aged 18, of Water Slacks Close, Woodhouse, community order with rehabilitation activity requirement; Charlene Smith, 33, of Hawkshead Road, Grimesthorpe, community order with rehabilitation activity requirement; Robert Morris, 51, of Crookesmoor Drive, Crookesmoor, community order with drug rehabilitation requirement, £85 costs. 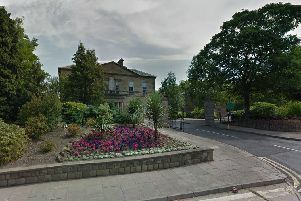 Drug production: Corey Peet, 20, of Milnrow Crescent, Parson Cross, four weeks’ jail, £85 costs; Fernando Lopez, 35, of Sandford Grove Road, Nether Edge, community order with 130 hours’ unpaid work supervised, £85 costs. Breach of community order: Gavin Reynolds, 26, of Foxhill Crescent, Foxhill, 26 weeks’ jail suspended for 12 months. Drink-driving: Nicholas Wright, 41, of Osborne Road, Kiveton Park, £500 fine, £85 costs, 12-month driving ban. Driving without a licence: Ismail Ali, 52, of Fiddlers Drive, Armthorpe, £220 fine, £85 costs, three points on licence; Richard Dale, 39, of Schofield Street, Mexborough, Doncaster, £660 fine, £85 costs, six penalty points on licence; Stefan Kotlar, 32, of Robey Street, Fir Vale, £75 fine, £85 costs, six-month conditional discharge; Marks Ncube, 53, of Newsome Avenue, Wombwell, Barnsley, £80 fine, £45 costs, three penalty points on licence; Kristopher Roebuck, 25, of Limpool Close, Doncaster, £120 fine, £45 costs, six-month driving ban; Ashley Twiby, 27, of Somerset Road, Doncatser, £660 fine, £85 costs, six penalty points on licence. Driving without insurance: Ladislav Danihel, 54, of Abbott Street, Doncaster, £660 fine, £85 costs, six points on licence; Daniel Pinder, 28, of Musgrave Road, Norwood, £660 fine, £85 costs, six-month driving ban; Kirsty Bolton, 33, of Caldervale, Royston, Barnsley, £600 fine, £85 costs; Richard Gibson, 28, of Barber Balk Road, Rotherham, £600 fine, £85 costs. Failing to identify driver: Dale Lindley, 38, of Queen Street, Goldthorpe, Barnsley, £660 fine, £85 costs, six points on licence; Jeffrey Knibb, 65, of Belgrave Close, Belton, Doncaster, £450 fine, six points on licence. Drug possession: Hal Cave, 24, of Hounsfield Road, East Herringthorpe, 12-month conditional discharge, £50 costs; Richard Savage, 36, of Lime Tree Avenue, Kiveton Park, three weeks’ jail. Theft: Shane Clark, 60, of Grainger Close, Edlington, Doncaster, £50 fine; John Feltoe, 34, of Waverley View, Catcliffe, community order with rehabilitation activity requirement; Cocksie Kirton, 27, of Hoyland Street, Maltby, six weeks’ jail suspended for 12 months, £424 compensation; Joanne Wright, 42, of Lymister Avenue, Moorgate, £100 fine, £85 costs. Failing to provide breath sample to police: Dean Saeed, 36, of Town Street, Canklow, 20-month driving ban, £675 fine, £85 costs. Driving while disqualified: Craig Bott, 31, of Dukes Place, Herringthorpe, 14 weeks’ jail suspended for 12 months, two years’ driving ban, £85 costs. Breach of community order: Peter Cisar, 44, of Hatherley Road, Eastwood, community order imposed with seven hours’ unpaid work supervised, £75 costs; Bradley Hewkin, 20, of Mulberry Road, North Anston, community order imposed with seven hours’ unpaid work supervised, £25 costs; Daniel Marsden, 24, of Magna Close, Wickersley, community order imposed with seven hours’ unpaid work supervised. Possession of a dangerous dog: Andrew Reed, 52, of Rockingham Road, Swinton, £50 fine, £80 compensation. Criminal damage: Adam Stone, 31, of Town Lane, Rotherham, six-month conditional discharge, £100 compensation, £50 costs. Possession of a bladed article: Gayna McBeth, 27, of Kilnhurst Road, Rawmarsh, six weeks’ jail suspended for 12 months, £50 costs. Breach of restraining order: Michael David, 29, of Oates Close, Rotherham, five months’ jail suspended for 12 months, £85 costs. Assault: Josh Bladen, 21, of Bly Road, Darfield, community order with rehabilitation activity requirement, £85 costs; Mark Haigh, 45, of Rockingham Road, Gilroyd, 12-month conditional discharge, £100 compensation, £85 costs. Theft: Gary Grimes, 24, of Cooperative Street, Goldthorpe, 12-month conditional discharge, £85 costs; Dagmara Kleina, 33, of Harvey Street, Town End, £110 fine, £21 compensation, £85 costs; Dean Egan, 20, of Bell Bank View, Ward Green, community order with 40 hours’ unpaid work supervised, £150 compensation; Malcolm Foster, 71, of Park Road, Clayton West, 12-month conditional discharge, £300 compensation, £85 costs, 20-month driving ban. Drug possession: Peter Schonborn, 32, of Windsor Crescent, Middlecliffe, community order with 150 hours’ unpaid work supervised, £200 fine, £85 costs; Thomas Lovatt, 24, of Redhill Avenue, Barnsley, community order with 100 hours’ unpaid work supervised, £85 costs. Drunk and disorderly: Wayne Jones, 33, of West Street, Worsbrough Dale, £40 fine, £85 costs; Jason Thorpe, 26, of Dearne Street, Great Houghton, £85 costs. Drink-driving: Elliott Evans, 21, of Distillery Side, Elsecar, £320 fine, £85 costs, 16-month driving ban; Kevin Dryden, 22, of Newfield Avenue, Monk Bretton, £350 fine, £85 costs; Brendon Durnan, 23, of Clayroyd, Worsbrough Bridge, £250 fine, £85 costs, 12-month driving ban; Sam Horsfield, 24, of White Cross Road, Cudworth, £120 fine, £85 costs; Evan Mosley, 22, of High Street, Shafton, £500 fine, £85 costs, 14-month driving ban. Threatening behaviour: Carl Corbett, 34, of Lindhurst Road, Athersley South, 12-month conditional discharge, £30 compensation, £85 costs. Threatening behaviour: George Ballington, 25, of Church Road, Darley Dale, £85 costs. Theft: Ryan Byard-McCartney, 25, of Chatsworth Road, Alfreton, £250 compensation, £85 costs; Craig Jones, 39, of North Road, Clowne, community order with rehabilitation activity requirement, £338 compensation; Jude Parker, 18, of no fixed address; community order with rehabilitation activity requirement and 40 hours unpaid work supervised. Assault: Sandra Howard, 53, of Fern Avenue, Staveley, three months’ jail suspended for 12 months, £200 compensation, £85 costs, community order with curfew and rehabilitation activity requirement, £204 compensation; Bernard Parker, 54, of Fan Road, Staveley, two months’ jail suspended for 12 months.